A good-sounding pedal once dialled in, but not the most flexible. Toggle switch is a welcome addition. 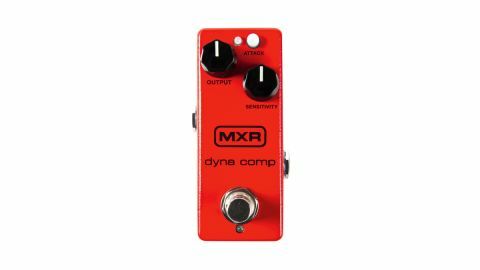 The MXR Dyna Comp is a classic for good reason. It has been featured on pro boards for decades and cloned many times. Despite this, however, it’s hard to not feel like it’s been standing still while the competition has got ahead of it. While this mini version of the larger original has a welcome toggle switch for attack, in general the two controls - output and sensitivity - make finding a subtle tone somewhat laborious although fans of Under The Bridge-style squash will have no problems. It’s a good-sounding pedal once dialled in, but not the most flexible.